It’s been a while since I’ve been challenged by a concept; Customer Centricity was a foreign term and I was curious to locate a book to make sense of it. I simply thought customer centricity was the latest jargon reference for ‘customer service’. WRONG! It’s a mathematical equation which I’m yet to truly grasp. Peter Fader, Professor of Marketing, The Wharton School of the University of Pennsylvania is passionate about this subject. I give Peter full marks in his attempt to explain in simple terms the apparent controversial debate in the workings of customer centricity. · When companies have incredible valuable data on its customers, it must serve a purpose: relationship building first and sales second. Hands up if your company does it in that order? · Customer centricity is the overall strategy that lets you build and leverage your customer base. It’s about creating smarter, more strategically focused organisations leveraging the single most valuable asset that it has – the customer. Focusing on the right customer. · Part of this strategy is to align a company’s products and services and the development of new ones with the future wants and needs of its ‘most valuable customers to achieve more profits’ and shareholder value, long term. Unfortunately, as Peter calls it, the paradox of customer centricity – what about all the other customers? · Customer centricity can incorporate customer acquisition – it can help you understand the true cost and value of them and importantly it will help you increase the number of quality referrals from your existing customers – which generally means committed customers moving forward. · It’s about keeping detailed records about customer’s buying habits … and doing something about it. All these efforts will ensure customer retention in an aid to lengthen the relationship between you and your ‘best customers’. · In comparison, a company which uses a product centric model build their business around the demands of the product. Product teams opposed to customer segment teams. In doing the latter, your work teams can identify and paint a much truer picture of the value of the customer base. It’s a move from customer homogeneity to customer heterogeneity. · Product-centric model companies will expand for growth into new markets, demographic and geographic, whereas a customer centric company will tweak an existing product just enough to convince their customers that version 2.0 really is that much better than version 1.0! · Customer equity is a measurement tool (of customer centricity) to identify how much future value likely exists in your customer base. This could potentially include your brand however the mathematical equation hasn’t been developed – which will be of enormous value. All this information clicked when Peter mentioned how a Hairdresser uses an index-card system – a savvy way to track the information which ensures the business remains profitable but more importantly enables a connection at a personal level. Have you seen those cards – I’ve always been curious to know what details are kept about me! I popped into my hairdresser to learn that apart from previous colour choices, dates and regularity of my visits, details of my family, birthdays, goals, colours, events etc are captured on these little cards – which is a basic CRM tool. Customer relationship management is a coordinated set of systems that a company uses to help create and extract more value from its customer base. So, my hairdresser, with her index cards, is practising customer centricity. She knows when it’s near my birthday or that I’m travelling and that I should plan my next visits. And do you know what – I’ve referred many people to her including my mother! The magic 'index cards' which hairdressers use to strategically know their customers at a personal level. After doing a little research with my friend Google, I found a current article about Tesco (a large supermarket chain in the UK), which according to Peter is viewed as one of the leaders in customer-centric thought today. In Scotland, Tesco realises that many of its customers are elderly in certain locations (in particular suffering dementia) and created a relaxed checkout lane – a one which enables the customer to connect with staff without feeling rushed by other customers. A strategy for brand loyalty. The question is, do you want your favourite stores to target you? I really appreciate it when Myer and my Physiotherapist send me birthday cards with a voucher to spend … and what do I do? Shop and visit for a massage! 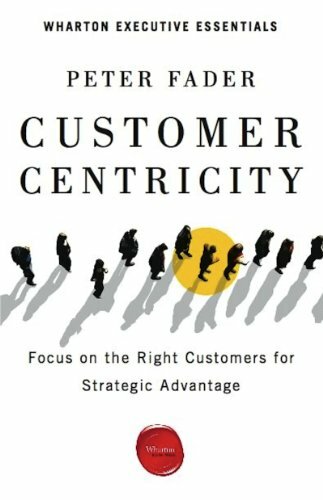 I’m delighted that I took the opportunity to read about customer centricity … it’s now on my mind and part of my vernacular. I'm looking forward to understanding how you lead your teams to focus on customer centricity.